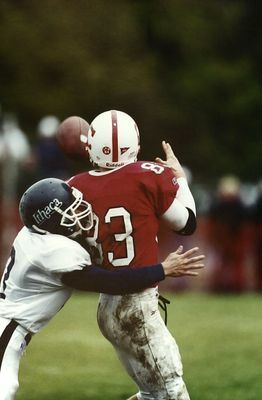 Cortland's Scott Harrison attempting to catch the ball as the Ithaca player tries to tackle him. 2000 Cortaca Jug. Ithaca defeated Cortland 19-14.